A prospective new client contacts you about working with him and his partner. Within minutes you learn that they are unmarried with each having children from prior relationships as well as one of their own together. Do you experience a thrill of excitement at having such a complex and fascinating potential couple to work with, or does this scenario strike fear in your heart? If you’re like most of the estate planners we work with, fear would be your first response. Are you aware that your prospective client is most likely afraid as well, but for different reasons? In Estate Planning for the Blended Family (Self-Counsel Press 2012), we identify and discuss 11 fears that clients can have when it comes to the estate planning process. These fears include everything from confronting fear of death, to fear of the estate planning process itself. On the other side of the equation, the biggest concern for the estate planner (or should be if it’s not already) is the likelihood of conflict of interests within the blended family system. The reality is that estate planners need to be able to manage their own emotions, as well as those of their clients, around these fears and potential conflicts. It’s not enough to understand the intricacies of estate planning vehicles to avoid taxes and transfer assets efficiently – it’s also necessary to make sure you are addressing the core concerns (and yes, fears) that are part of the process. These fears prevent people from doing estate planning, or cause them to procrastinate. Fears lead to avoidance strategies that cause costly and unnecessary delays in estate planning. More often than not, people tend to avoid the conversations that could move the process along smoothly due to a lack of awareness about how to have the conversations effectively. Estate planning for the blended family client can present some of the most challenging work that an estate planner ever does. One of the reasons why this is so is that most professionals in the field of estate planning aren’t sufficiently trained or experienced in the “human side” of the process, which is the “heart” of estate planning. Most attorneys, accountants, and financial advisors are trained in the “head” side of estate planning. The key to successfully navigating the often treacherous waters of estate planning for the blended family is properly balancing the head and heart. 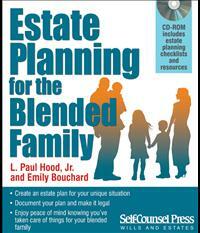 On Tuesday, May 8th, the first in a series of three teleconferences on Blended Family Estate Planning will commence. This 90-minute presentation will dive into the key issues of the initial consultation and successful engagement of couples with a blended family. Participants learn how to address emotionally charged issues and fears that keep the planning process from moving forward, as well has how to move when a client shuts you down or shuts you out. Specifics related to property ownership and distribution will be addressed along with who should be considered for key fiduciary roles. The training provides a comprehensive introduction to estate planning for the blended family, and in so doing, marries the “head” and the “heart” of estate planning. In the second session to be held on Tuesday, May 15th, attention is focused on the lifetime planning options that are available or advisable to blended family couples. And last, but certainly not least, in the final session to be held on Tuesday, May 22nd, the various issues that are attendant to testamentary estate planning for blended family clients are addressed, as well as some post-death administration issues. 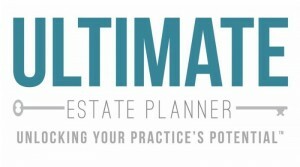 To sign up for this timely and important series and to receive a complimentary copy of our book, which includes a CD with forms, visit www.ultimateestateplanner.com. If you have any questions, please feel free to contact Emily or Paul at estateplanning@blended-families.com. You can also contact The Ultimate Estate Planner, Inc. at 1-866-754-6477.